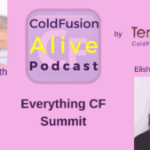 Mike Collins talks about “Scaling Your ColdFusion Applications (Clusters, Containers and Load Tips)” in this episode of the CF Alive Podcast, with host Michaela Light. In this session, we will answer common questions around deploying applications across multiple JVM instances, servers or containers. How many instances, servers or containers do you really need? What happens when an instance goes down? What is the best way to manage sessions? We will look at key performance metrics and session management strategies to increase your uptime and improve your end-users overall experience. Session topics will include: Using Local and Remote Web Servers, Load Balancing (Hardware and Software based), Tomcat Connector Features, Understanding ColdFusion Clustering, Using Docker Containers and Orchestration, Using Session Management Strategies, API Based Applications, Load Testing Applications and Security and Monitoring. We will have several demonstrations along the way. Deploying applications across multiple JVM instances, servers or containers. How many instances, servers or containers do you really need? What happens when an instance goes down? 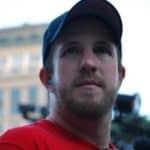 What is the best way to manage sessions? Key performance metrics and session management strategies to increase your uptime and improve your end-users overall experience. Load Testing Applications and Security and Monitoring. Senior ColdFusion consultant at SupportObjective providing development, services including applications, migration projects, and annual ColdFusion support. 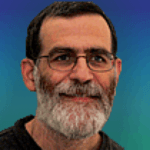 Mike started using ColdFusion during his time with Allaire, Macromedia, and Adobe. 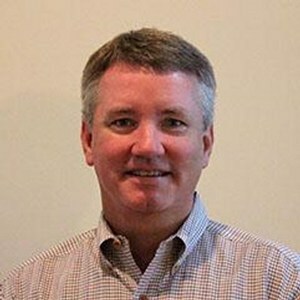 Over the years Mike has given several ColdFusion conference sessions concerning developing and architecting ColdFusion applications. Michaela: Welcome back to the show. 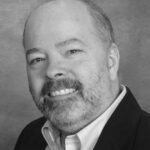 I'm here with Mike Collins and we're going to be talking about scaling your ColdFusion Applications. And we'll look at some of the JBM things you can do that and some of the key performance metrics and session management strategies you might use. And we'll look at both using local servers and using clever things like Docker to do it more remotely. So, we'll also briefly look at load testing security and monitoring if you will scaling your application. So welcome Mike. Michaela: And in case you don't know Mike, he's been with ColdFusion since it was born back in the earlier days. He used to work at he's been at Macromedia and Adobe. And now he's got his own business school Support Objectives that provides annual ColdFusion support and consulting. So, he's a really smart guy I am so happy you got him here on the show today. So yes. So, tell us you know why is scaling important in the ColdFusion world, because maybe people haven't really thought about this topic? Mike: Right exactly, so this session tries to address kind of the bit starts off with addressing some of the big picture items as far as what you're really, almost from the install, making those first decisions from OS to the connector setup, to what features you want to actually install with ColdFusion and then walks that out into knowing your key performance metrics and then all the way through understanding session strategies. 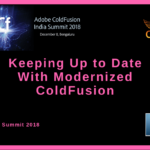 A lot of questions you get hit with immediately as soon as you start looking and installing and how you want to implement ColdFusion, that's the quite view in this session.